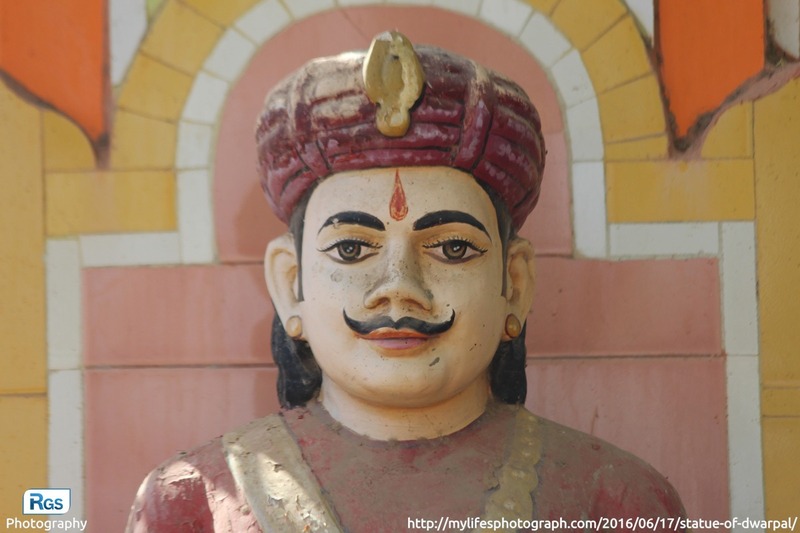 I have captured this photo of the Dwarpal statue at Ramdev Pir Temple, Devpur Ranuja, Nava Ranuja, Gujarat, India. This temple is 56 km far away from the Rajkot. The purpose behind capturing this photo is to see its beauty and shape of the statue. The sculptor of this statue has put all his emotions in it. The sculptor also gives his all efforts and vision to create it. Just look at the face, eye, turbans and mustaches but who care of this fabulous work. You can clearly see the dust on it. Generally, Statues are made to give honour for the great events in history. If you want to know about Story of the Dwarpal, Must read the whole story behind it at Jaya-Vijaya. This is story is given from the holy book “Bhagavata Purana” which is one of the Hinduism’s eighteen great Puranas. This photo is captured by using Canon 1200D (EOS) Camera.